I read this post over on Whilst She Naps recently hat uses a term at a quilting show (“Husbands’ lounge”) to make a point about making Quilting more Inclusive. Whilst I agree with the overall point of the post, I think the author missed a trick, and should/could have taken this labelling to be a symptom of the issue, rather than the actual source. Ironically I also find that some of the language used in the comments is a rather strong and devisive rather than inclusive. I’ll let you go and read the post and the comments, and I’ll be here when you get back. Quilting and the “creative arts” do have a perception problem, and is seen by many of all genders as “women’s work”. 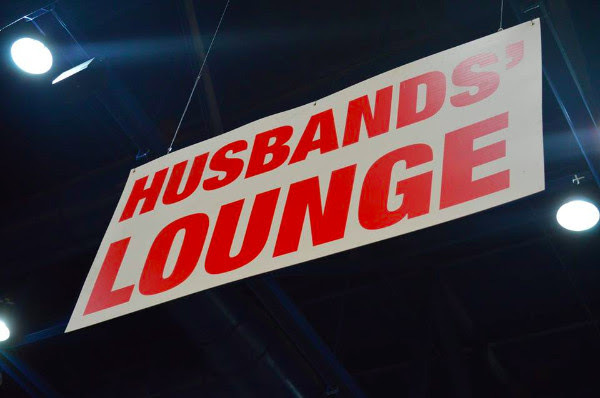 Picking on a rest area being called “Husbands’ Lounge” is not going to change this perception. What needs to happen is a change to the value of quilting, knitting, sewing, designing away from being “woman’s work” that has little or no value and change it into something anyone should be able to do. (As an aside, I saw person x ask person y on facebook how they could commission a knitted piece, cos they didn’t want to pay Etsy prices that were “too high”. Thankfully person y turned round and told x how prices reflected the time and effort knitting the piece, so x could cough up the money….or learn to knit herself). I think we need to teach our children that there are no gender specific roles that are restricted to “”only boys” or “only girls”. Girls can be scientists, engineers, racing car drivers. Boys can knit, play with Barbie, become cooks (girls can be chefs!). Everyone can be a designer, a creator, a maker, a producer – the delivery method shouldn’t matter. I find the comments on the original post to be fascinating, and I think reflect an underlying fear and tension following the US Presidential election. The comments swing between “we need to be more inclusive!”, “there’s not a problem, get over yourself!” “I’m going to unsubscribe, but not before I tell you so you can beg me to stay!” and many shades in between. As with many roles, it’ll take many a strong role model for people to follow – where are the male creatives leading the way? I believe that many (not all) of the currently visible creatives (such as the fashion designers) do happen to be gay, which – here I agree on the homophobia – men fear to follow as they dread to think they will be (wrongly) labelled as gay, so it will take more than one strong man to lead the way here. It will also require a mind set change from both men and women that men are allowed to do this – several of the comments on the original article tell of how male visitors are derided by other men and women for taking more than nominal interest in the craft. I do think that when it was common for there to be at least one person in every family who was knitting, making clothes etc, there was more appreciation for the inherient value of something – knowing where the materials came from, how long it took to make etc. If you can get a jumper for £5 on the high street, why would you pay £60 for someone to make something? I’m aware of Kaffe – even been to a couple of his signings and talks. I specifically didnt name any particular males (I’m only aware of a few in the public eye here in the UK) – though I understand Kaffe is gay, if not overtly. Jamie Chamers (Mr X Stitch) is another figure in the public eye and I would like to see more of him on the TV etc. Whilst the GBSB is a good example of people of any gender having an interest in sewing (think there was a steampunk designer in a previous series!) I would like it to not be considered a niche skill. I think quilting, sewing, and dressmaking fall into one of those odd categories (maybe like cooking) in which it’s not uncommon to find men pursuing a career but within the domestic “hobby” environment, it’s seen as a female activity. It’s weird but no one thinks it odd that a man should design couture clothing or mass produce knitwear, but it’s rare to find, say, a male office worker or brickie spending his weekends running up a new shirt or knitting himself a jumper while watching TV. I find a fair number of spinners are men, but they don’t tend to show up at the guild events for whatever reason. Could be interesting to find out why…. © Sorcha Ogle (“Nordie”) and Writing about Books, 2000 – 2018. Unauthorized use and/or duplication of this material without express and written permission from this blog’s author and/or owner is strictly prohibited. Excerpts and links may be used, provided that full and clear credit is given to Sorcha Ogle (“Nordie”) and Writing about Books, with appropriate and specific direction to the original content.